This product has been replaced by the newer DrumCore 4 Prime. DrumCore 3 supported only 32-bit hosts. See DrumCore 4 for 64-bit. DrumCore 4 and Upgrade Pricing. DrumCore 3 gives songwriters and composers access to grooves and instrument sounds of over a dozen famous drummers and percussionists. It includes a library of both audio loops and MIDI grooves plus a software drum instrument for Mac® and PC. DrumCore covers a multitude of styles – including rock, blues, country, metal, prog, alt-rock, pop, jazz, urban, funk, Latin, reggae and others. DrumCore v3 features a “sunburst” user interface with a number of enhancements. Easily search and audition the vast number of grooves in DrumCore 3 using List View in the updated Groove Browser. Creating more authentic drum parts is easier as content is arranged into song-like GrooveSets, that group related loops, fills and variations together. New v3 content features a larger number of intros and endings in addition to the usual verse/chorus variations. DrumCore 3 now supports searching via metadata that includes drummer, musical style and “Feel” including shuffle, swing, 1/8th, 1/16th, etc. Drag and drop export of audio and MIDI to a track is supported with all popular music/recording applications (including 32-bit only versions of Acid®, Cubase®, DP®, GarageBand, Live™, Logic, Pro Tools®, Reaper, Sonar®, Traction®, and more). DrumCore does not work with RiffWorks. if you are looking for drum content for RiffWorks, please refer to the RiffWorks InstantDrummer category. DrumCore 3 users to be able to expand their DrumCore 3 library with add-on DrummerPacks that were available in Sonoma's online store. 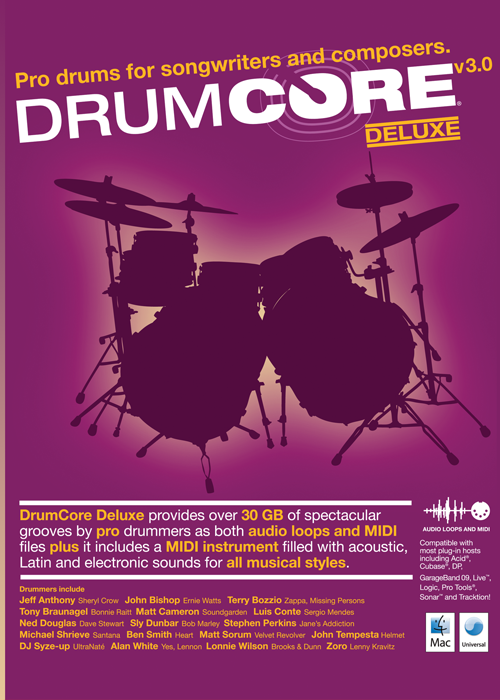 All DC3 DrummerPack content has been migrated into the DrumCore 4 built-in store, and are no longer sold as DVDs and downloads from Sonoma's online store. Upgrade to DrumCore 4 Prime or Ultra in order to add more content to DrumCore. You will be able to add more content by purchasing GrooveSets and Drum Kits from the built-in store in DrumCore 4. Add-on content features additional loops, fills, variations, and single drum hits from some of the best drummers on the scene today across a broad spectrum of styles. Use these drums in your songs royalty free. 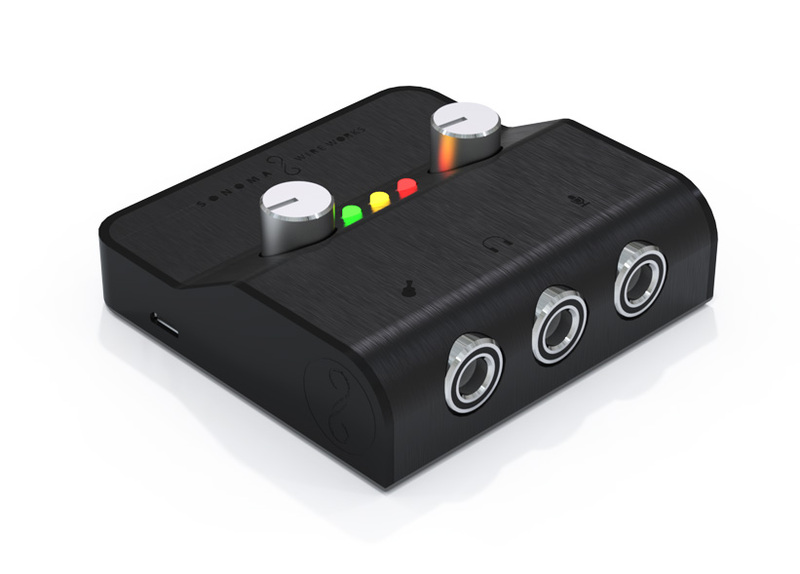 All the recordings are 24 bit and fully tempo adjustable. DrumCore 3 is only available on DVDs. It is not available as a download. 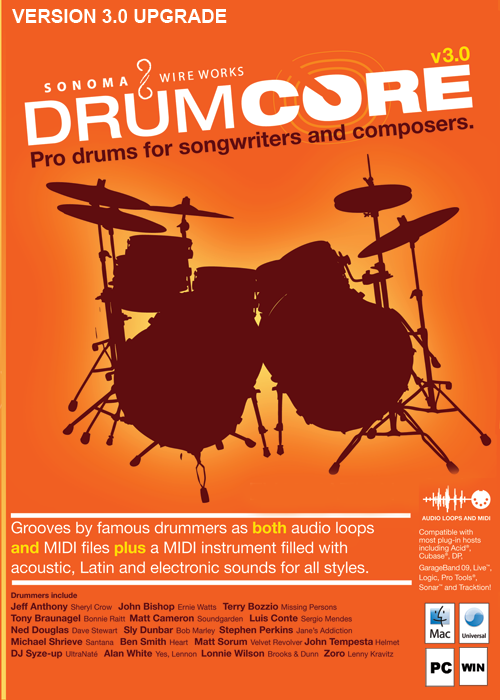 U.S. residents: Buy any edition of DrumCore 4 from this store, or from from select dealers . Canada, Europe, Australia, Asia and other residents: Buy downloadable DC4 (Link or Lite) from this store or from from select dealers . While this store does not currently offer shipping to your country, shippable DC4 products are available as a special order (email sales@sonomawireworks.com for details). Shippable products are also available from select dealers .